Nivisys Industries offers a complete range of night vision systems dedicated to the demanding high-end performance standards required by elite tactical operators around the world. Nivisys is keenly focused on supplying reliable, quality systems in a wide range of formats to include night vision monoculars, binoculars, goggles, and weapon sights. Nivisys can guarantee fast delivery, high quality, and dependable service for all your night vision key operational requirements. MUM-14 Monokular o szerokim zastosowaniu The Multi-use MUM-14 Mini-Monocular is a high performance modular, hand-held passive night vision monocular device that utilizes a single Generation II/III intensifier tube to provide crisp, clear images under the darkest conditions. 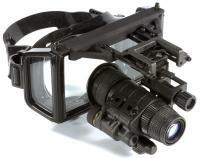 Night Hawk Night Vision Weapon Sight The Night Hawk Night Vision Weapon Sight represents the latest in military night vision technology for medium and heavy weapon applications. 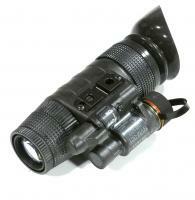 Using either GEN II or GEN III image intensified technology, the Night Hawk is extremely rugged and reliable. Due to the simplified reticle projection and parallax control, the Night Hawk is the most accurate night image device currently available in mass production.